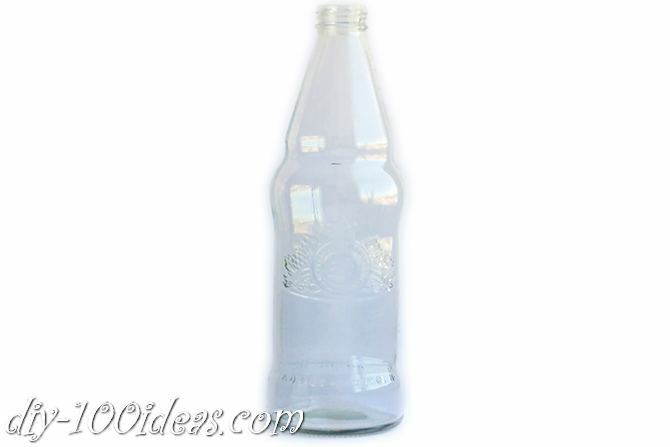 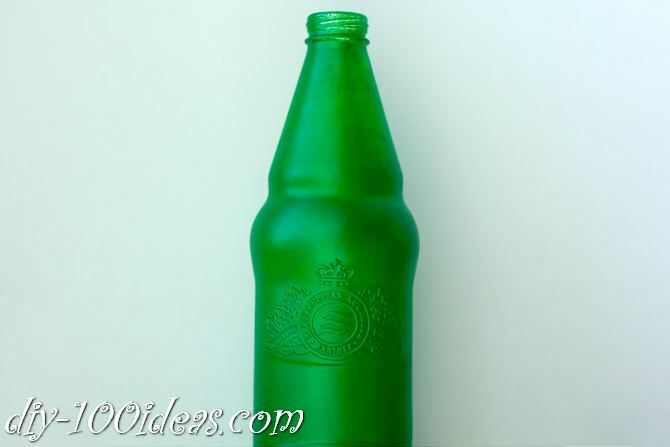 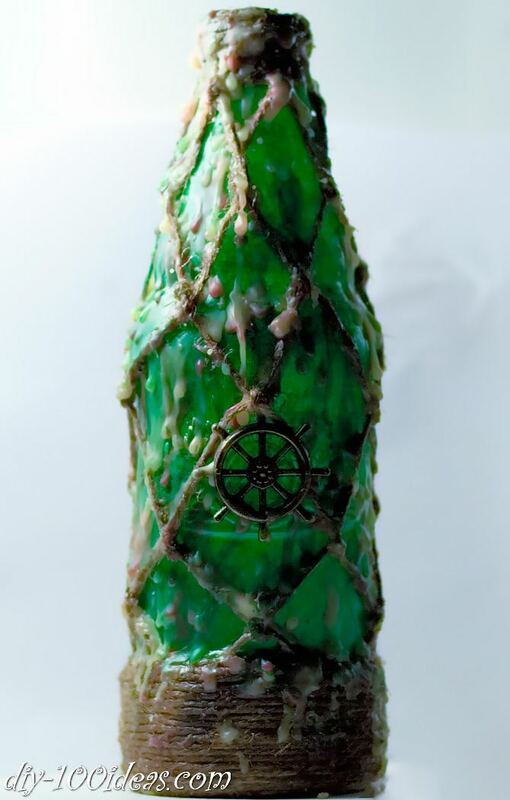 How to make the old pirate bottle. 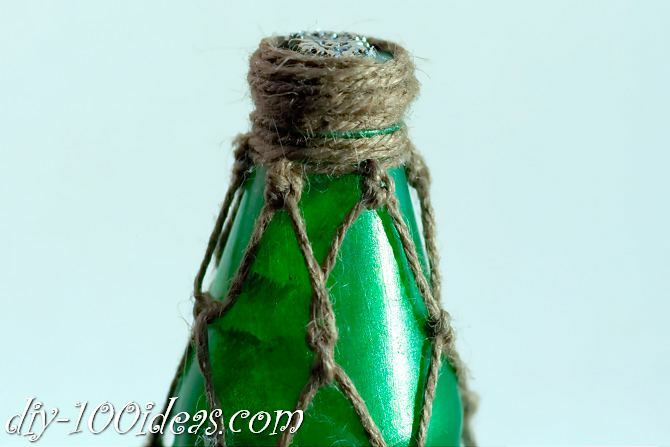 Tie a rope ring around the neck of the bottle. 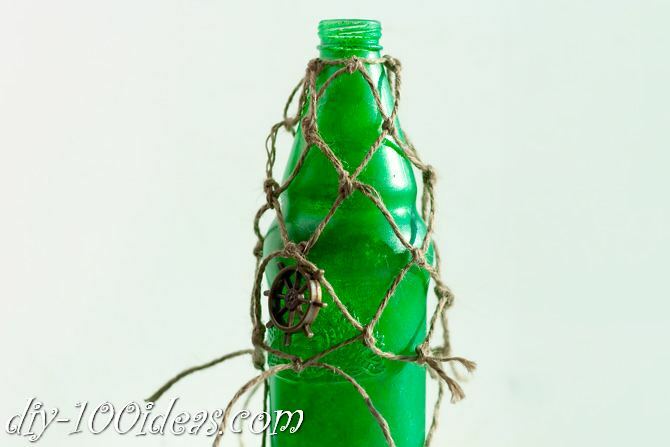 Cut five pieces of rope, each of them about two times the height of your bottle. 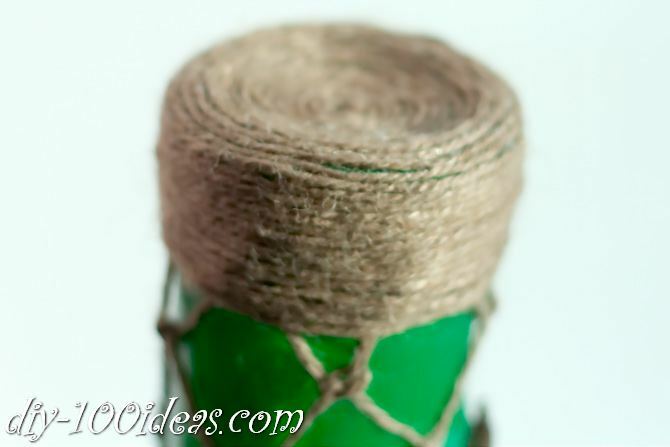 Start with one loop, then tie all five pieces of rope evenly around the original loop. 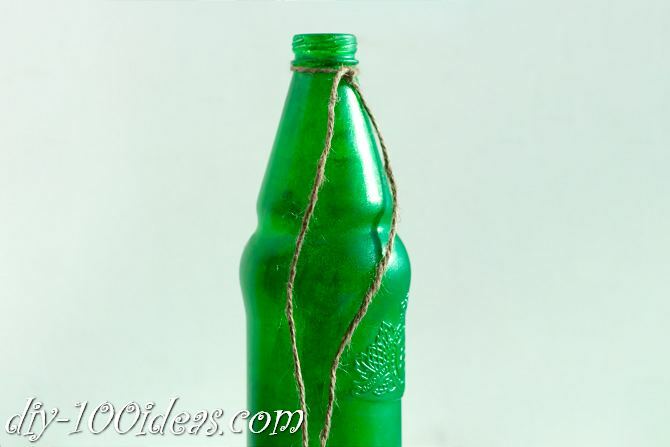 Glue the edges of the rope to the bottle. 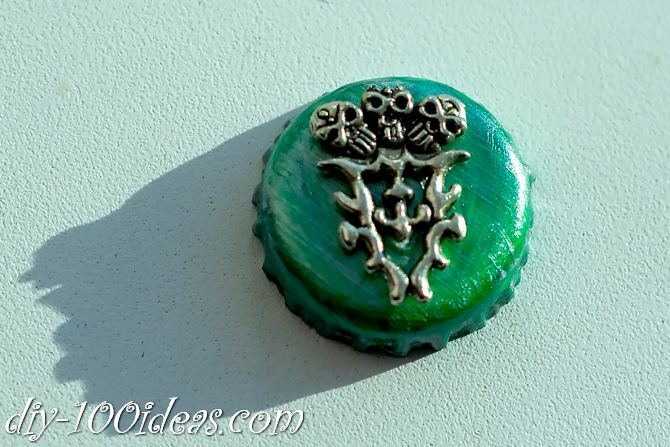 Paint the bottle cap. 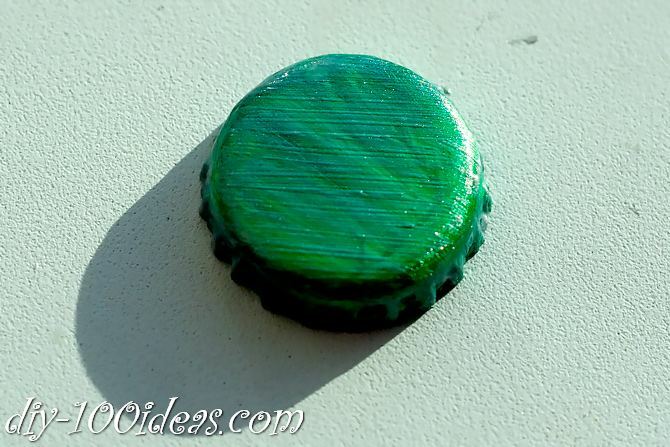 Glue the charm to the top of bottle cap. 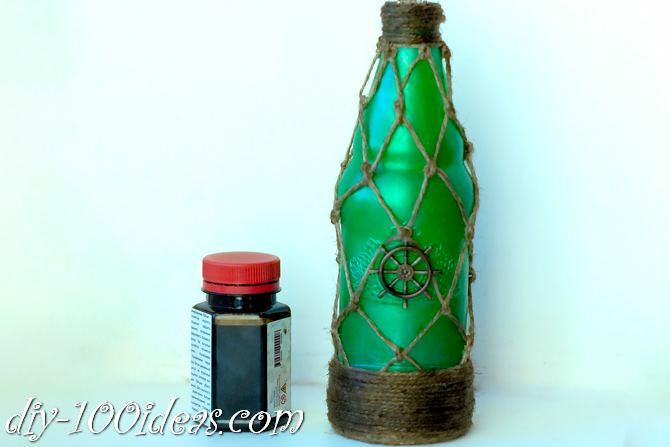 Use the brown varnish to paint rope. 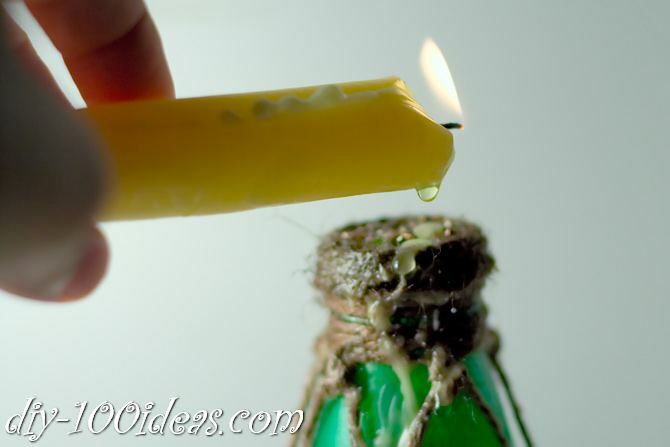 Create the dripped wax “look” by slowly turning a burning candle, allowing the wax to freely fall onto the bottle. 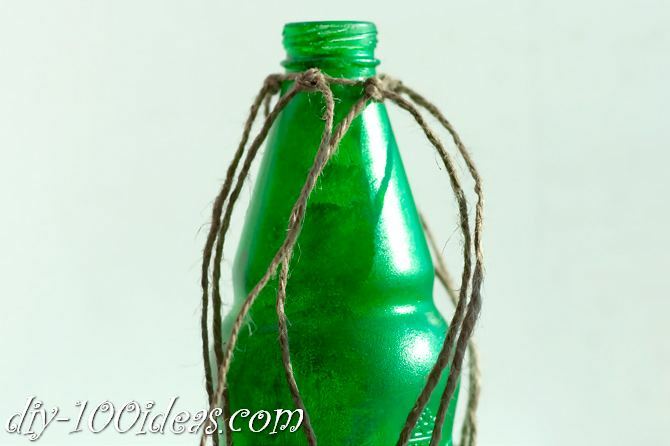 Continue this process until you achieve your desired look. 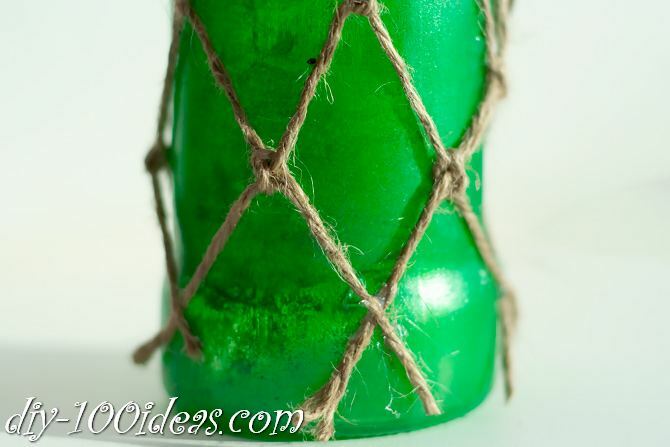 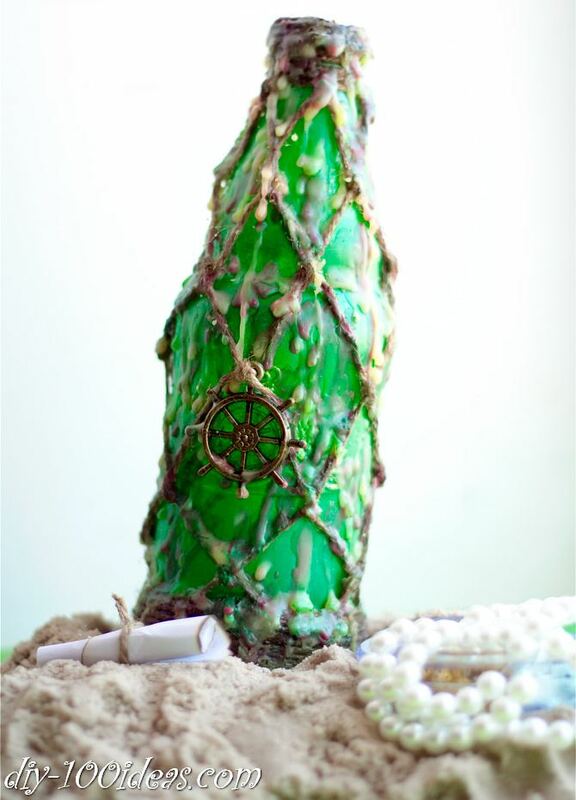 This entry was posted in DIY, Home Decor and tagged bottle, diy, pirate, tutorial. 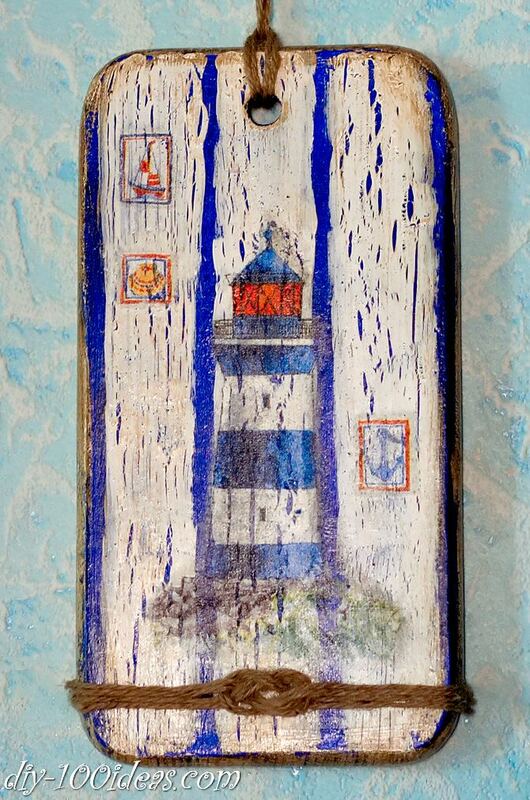 How to make a decoupage on wood.